Happy Thursday, my friends! 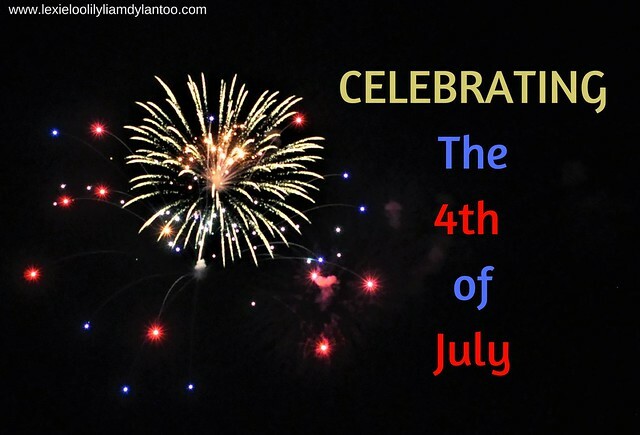 I took a much needed blogging break while celebrating the 4th of July with my family and friends. Grant was off work, family was in town, and we also had a baptism and a birthday party. Life is always so chaotic, so I really just wanted to spend my time focusing on them! 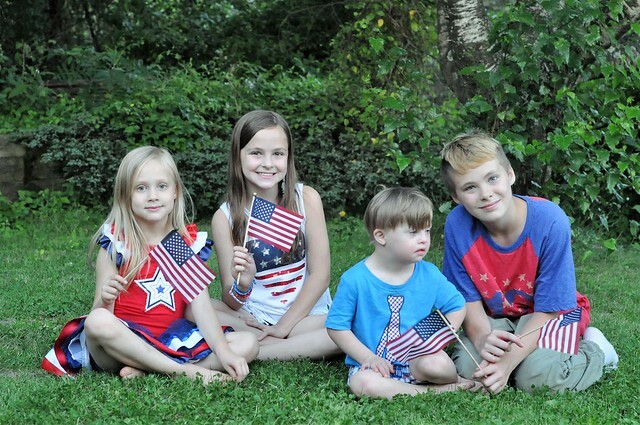 This year, the 4th of July was so much different than it has been in the past 18 years! 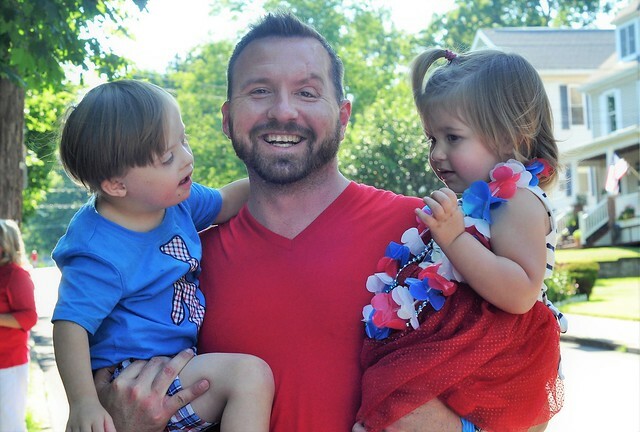 Ever since I met my husband when we were teenagers, we have celebrated the 4th of July at his family's home. 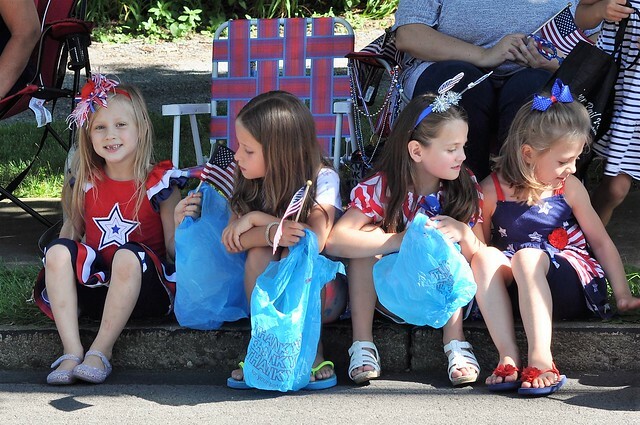 We always have a big picnic with family and friends, walk down the street to watch the parade, then go back to the picnic until it's time to go see the fireworks display. That didn't happen this year, and the 4th of July just felt off. I didn't even take that many pictures. Perhaps it was because my camera has been around my neck 24/7 so I could photograph big family events, and I needed a break. Or maybe it was a little bit of that holiday funk this year creeping in. Either way, my usual 500+ holiday photos dwindled to about 100. We did have our own little picnic! I made so much food for 8 people that we ended up eating the same meal again tonight, and we STILL have leftovers. I didn't exactly enjoy spending the first half of my day cooking and preparing all the food, but picnic food on the 4th of July is a must! 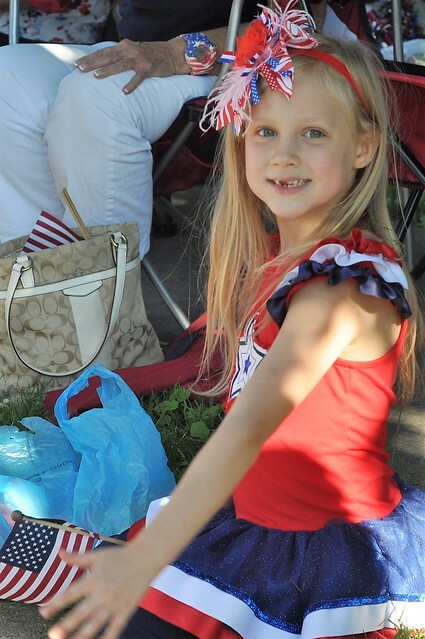 After we ate, we drove to the parade and camped out in the shade with a huge group of family and friends! 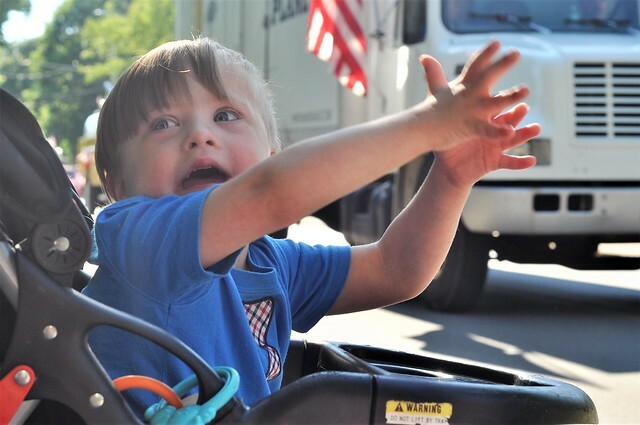 Liam loved the parade this year, and was absolutely mesmerized by all the rescue vehicles with their lights and sirens on! He couldn't get enough. 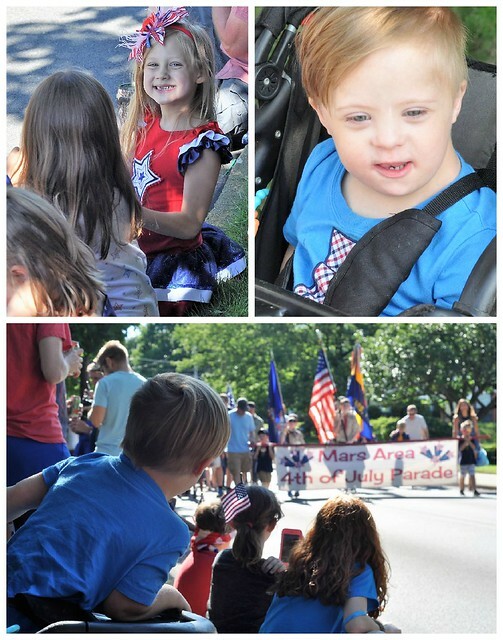 The parade was extra special this year because my nephew was in town from Florida with his sweet family, and they were there with us. 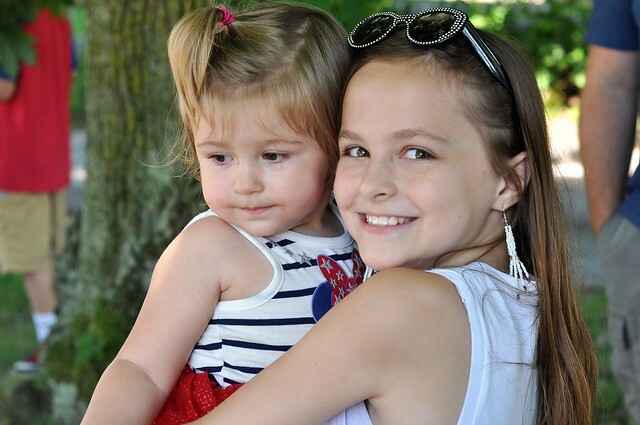 Over the past two weeks, my kids fell in love with their cousin, Peyton, whom they hadn't seen since she was 2 months old, and their newborn cousin, Kalen. They are going back home in the morning, and we are all so sad! 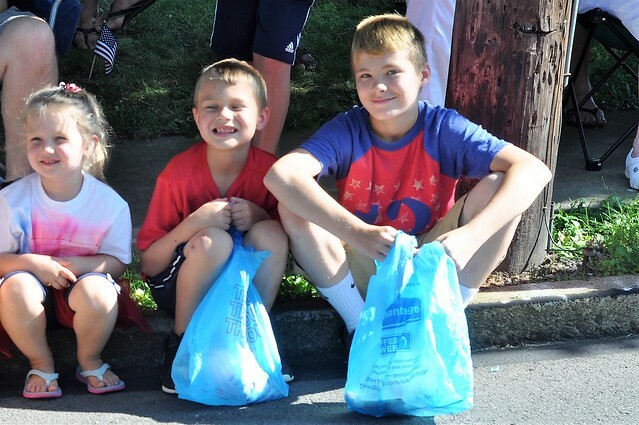 All the kids headed home happy with bags full of candy, 4th of July bling and toys! I, of course, win the parent of the year award. Grant went ahead with the stroller while I stayed behind with Lexie to talk to my nephew longer. We eventually bid them a sad farewell, and I was trying to console a crying Lexie while trying to keep Liam from jumping out of my arms as we walked away. After we made it back to our car, we headed home with some friends from the parade following behind us. Back at home, we enjoyed dessert and hanging out with friends, while we passed the time waiting for the fireworks to start. 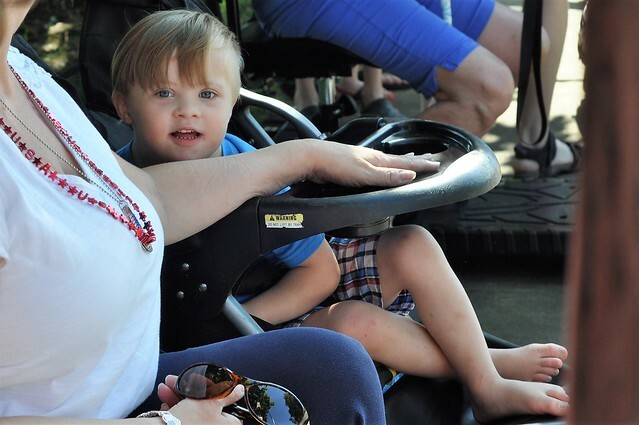 The kids played with their friends, the adults talked, and the S'mores dip was a huge a hit! 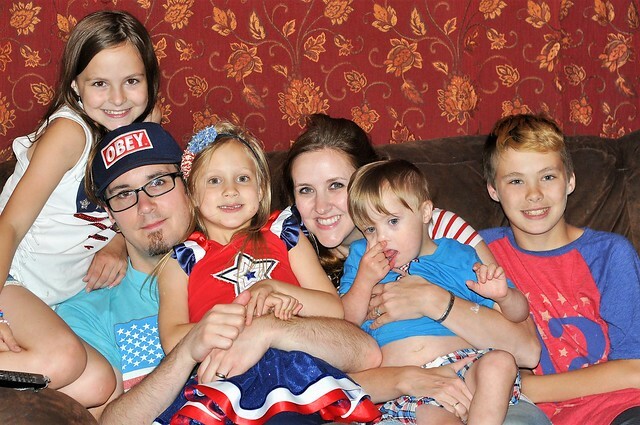 We are all together each 4th of July, and we agreed that the day felt really strange! 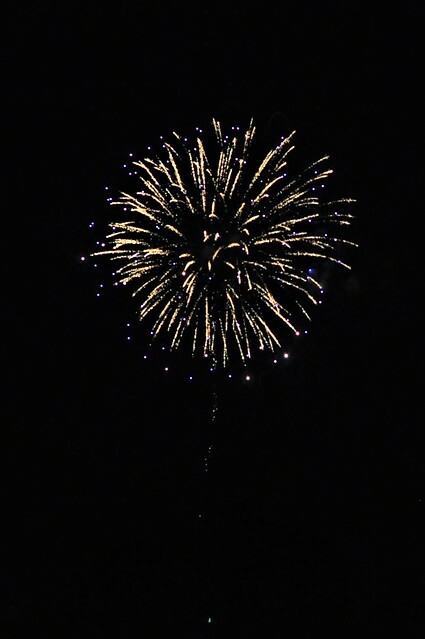 The evening passed by so quickly, and before long, it was time to drive to our favorite spot to watch the fireworks. It sounds strange, but the most popular spot in town to watch the fireworks is at the cemetery. It sits on a hill, so it gives a perfect view of the fireworks display! There's a big field behind the cemetery, so the kids always run around while we wait. 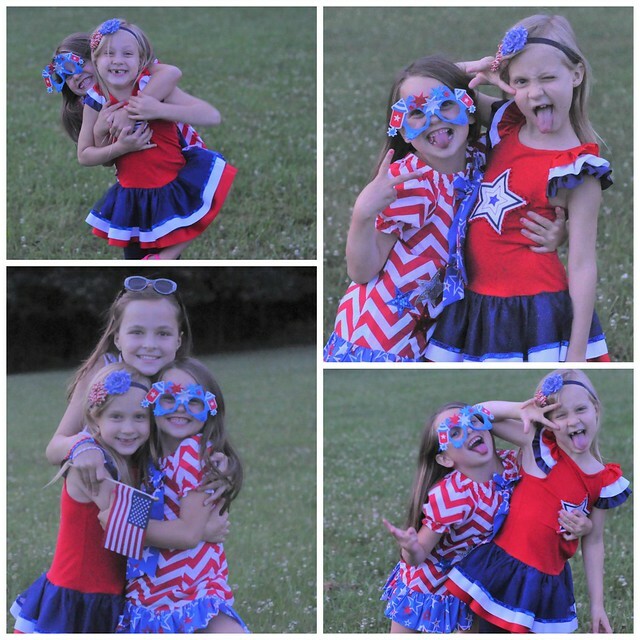 Playing with their friends before the fireworks is one of their favorite traditions! We always sit by Grant's dad's grave. 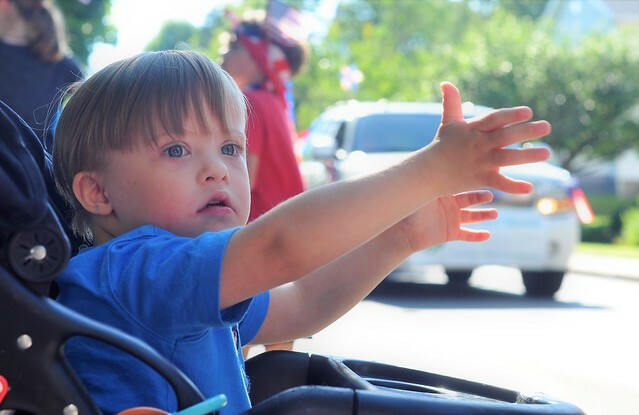 He was the mayor of the town for over a decade and he absolutely LOVED the 4th of July. He worked so hard to bring fireworks back into the town, and succeeded. He loved it so much that they even had a fireworks display at his funeral. 4th of July evening is always a bit emotional for us. 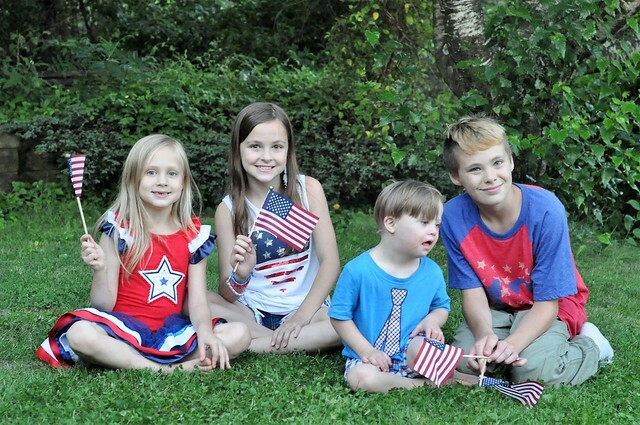 The kids love to put flags in front of his stone before the fireworks begin, and Lexie always sits in that spot so she can be with her PapPap. 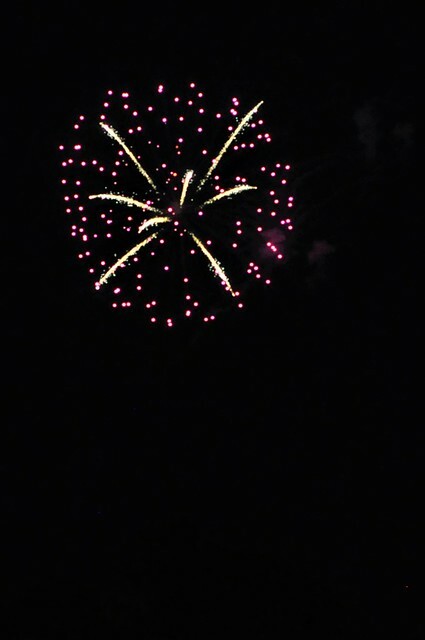 As usual, the fireworks were beautiful! I always debate driving into the city to see a major fireworks display, but it would just feel wrong to watch the fireworks anywhere but there! 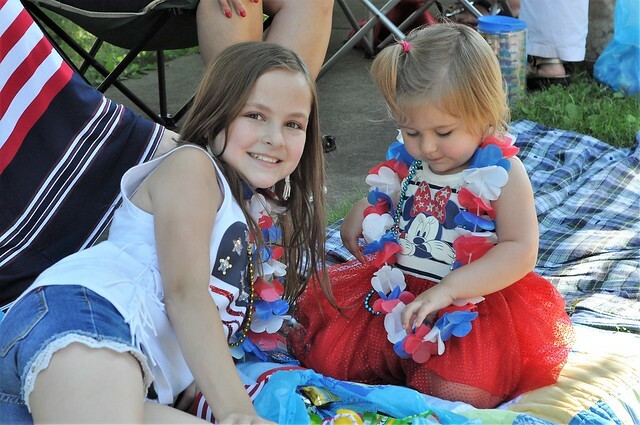 One of the things that makes me sad about moving away is the thought of missing our 4th of July traditions with our loved ones! We all returned to our house and we talked for another hour before everybody went home. Dylan went home with friends for a sleepover, and Lily's best friend spent the night at our house. The day went by so quickly! The kids were still very hyper after all the excitement of the day, so Grant and I ended up staying up very late! Despite the unexpected change in our holiday plans, we still had a fun day! Change is just a tough thing to deal with at times, especially when a tradition that lasted so long comes to an end. 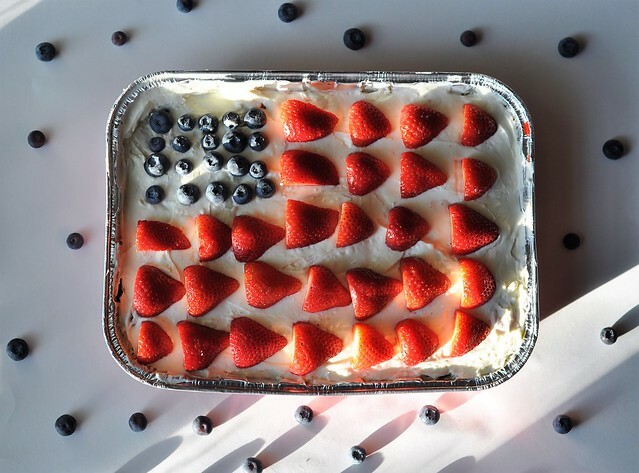 We're hoping that our 4th of July tradition picks back up next year, but if not, we're going to start one of our own. Perhaps mixing our favorite traditions with some new traditions is the way to go! Sounds like a great way to celebrate friend. Often the best way for me to soak up the holidays is to put the camera down a bit more than I'd like. 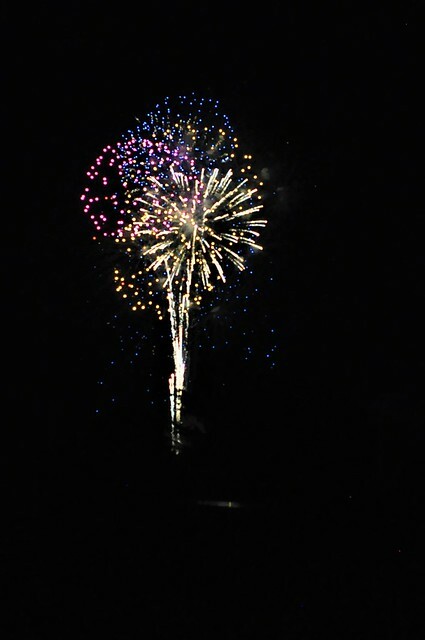 Even though your 4th was different, it still looks like it was good. Happy Friday eve! I am with ya, sometimes change is tough but at least you guys made the best of it! I wish we had a parade like that where we live! It looks like you had a good time. Yikes! When are you moving? Somehow I missed that announcement. It's bittersweet, isn't it?? Our 4th was so low-key compared to others but that's exactly what I wanted! I needed a holiday that didn't require a lot from me.